The Virginia Police Benevolent Association, Inc. (VAPBA) is proud to announce its support for the election of Barbara Comstock for the 10th Congressional District in Virginia. In a recent candidate screening process held by the VAPBA, Barbara Comstock displayed dedication to helping the PBA’s cause by supporting strong effective law enforcement. "We are pleased to fully support Barbara Comstock for Virginia's 10th Congressional District and we are confident that her knowledge and experience make her the best qualified candidate. She understands the issues that are important to law enforcement officials here in the Commonwealth and will be a strong partner in Congress," said Virginia PBA President, Joe Woloszyn. Virginia needs leaders like Barbara Comstock who sees the importance of strong, effective law enforcement. Barbara Comstock has shown the PBA that she has the knowledge of what law enforcement officers need to best serve and protect our citizens. 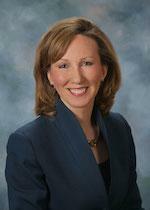 The VAPBA urges the citizens of Virginia to support Barbara Comstock for the 10th Congressional District in this upcoming general election on November 4, 2014.